The Serbian military aircraft Super Galeb (SOKO G-4 Super Galeb) crashed to the northeast of Belgrade near the town of Kovacice, the Serbian Defense Ministry said on Wednesday. The two pilots ejected before the crash, but one of them died as a result of the incident. "In today’s crash of the combat trainer aircraft SOKO G-4 Super Galeb, one pilot of the Technical Testing Center died after ejecting, the co-pilot sustained injuries. He is conscious and was transported to the Military Medical Academy in Belgrade," the statement read. The newspaper reports that the co-pilot was taken to the Military Medical Academy in Belgrade. Defense Minister Aleksandar Vulin and Army Chief of Staff Gen. Ljubisa Dikovic visited the co-pilot in hospital, the ministry added. An investigation has been opened into the incident. 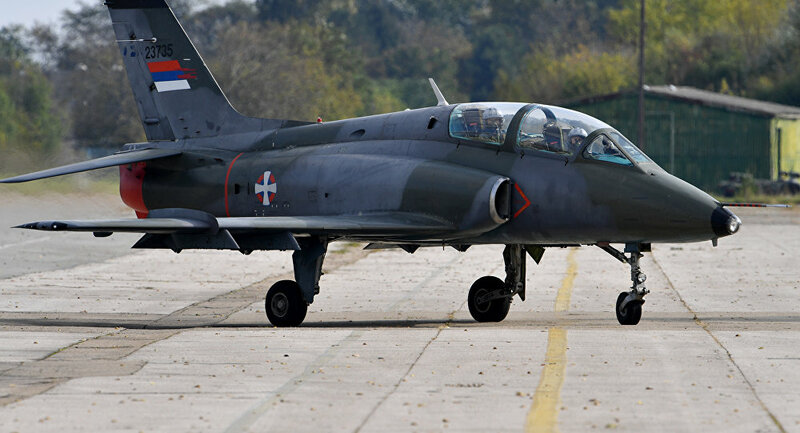 The Ministry of Defence of #Serbia confirmed that warplane crashed near the #Kovacica.